Made from beautifully heavy cotton-linen, this riding outfit echoes the days of Georgian England. The dusky blue skirt has 2 slit-pockets and gathers at the waistband. Made from beautifully heavy cotton-linen, this riding outfit echoes the days of Georgian England. 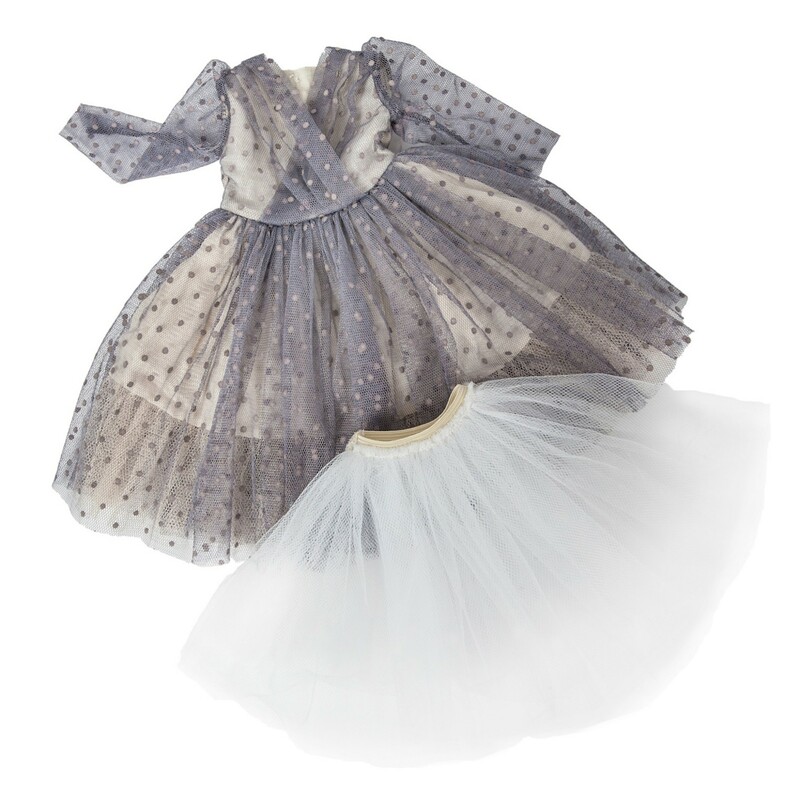 The dusky blue skirt has 2 slit-pockets and gathers at the waistband. 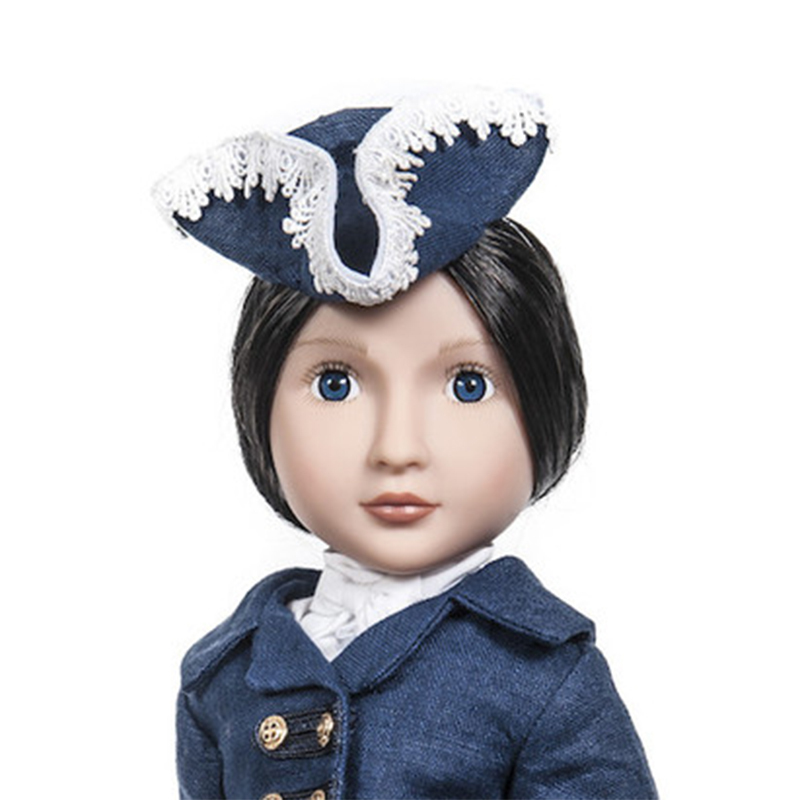 The dark blue jacket has braided trim and gold tone buttons, set off by a wide lapel. The blouse is crisp white cotton, with a cravat-inspired ruffle at the neck. 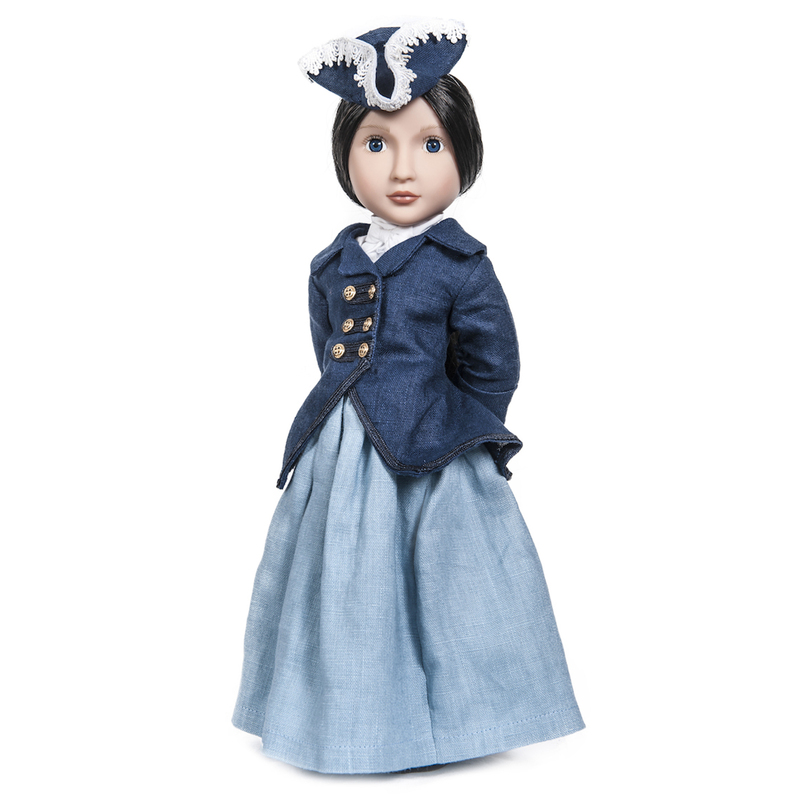 Please note that the riding boots and the tricorn hat are sold separately. 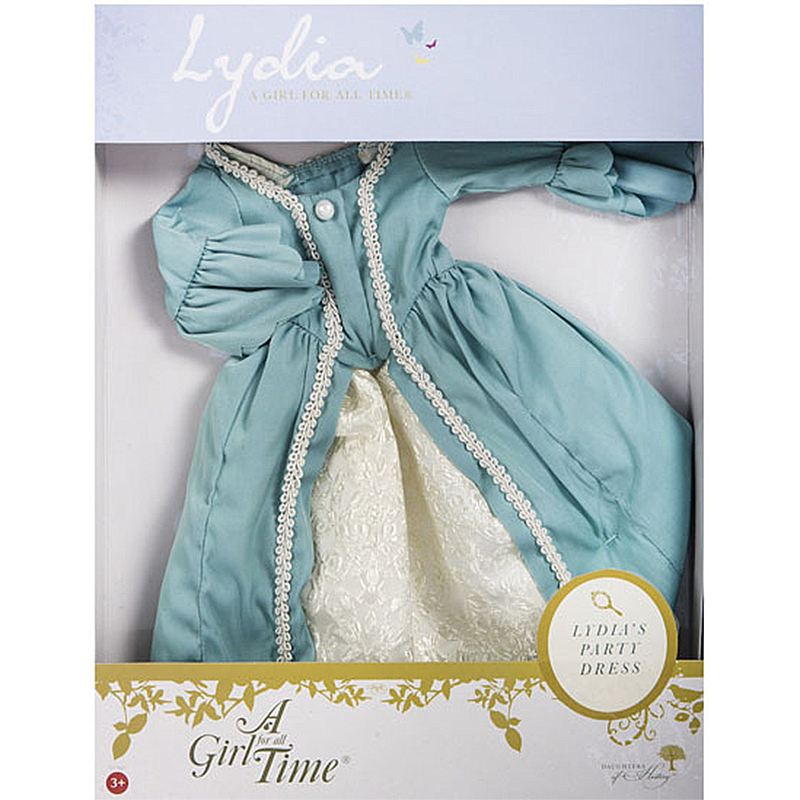 Additional Georgian outfits and accessories for Lydia can be found in our accessories section. 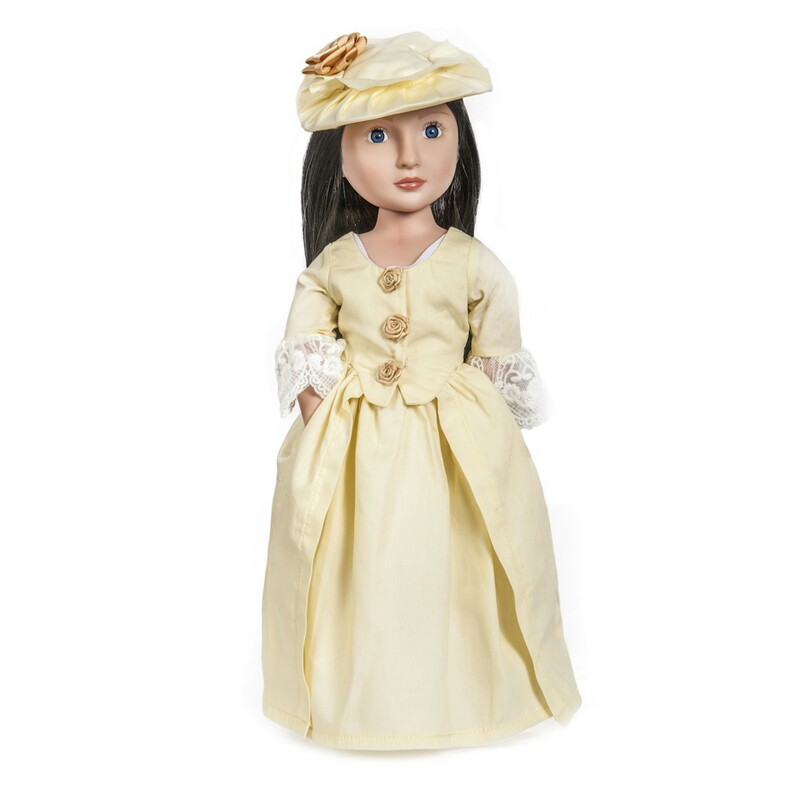 Outfit is designed for Girl for All Time play dolls which are recommended for children aged 6 years and over. Unsuitable for children under age of 3 years. Doll not included.